It's only been 2016 for a few days, and I guess I shouldn't be surprised that Kanye West has already found a way to throw us for a loop, but he has and I am thrown: Kanye will be releasing new music every Friday for an unspecified period according to Kim Kardashian West on Twitter, so apparently his next album will be out sooner than I thought? We don't have an official Swish release date or anything yet, but I just did some math and realized that if Kanye is releasing a track a week, and his previous album lengths are any indication, Swish will be out in its entirety by Mar. 25, at the latest. 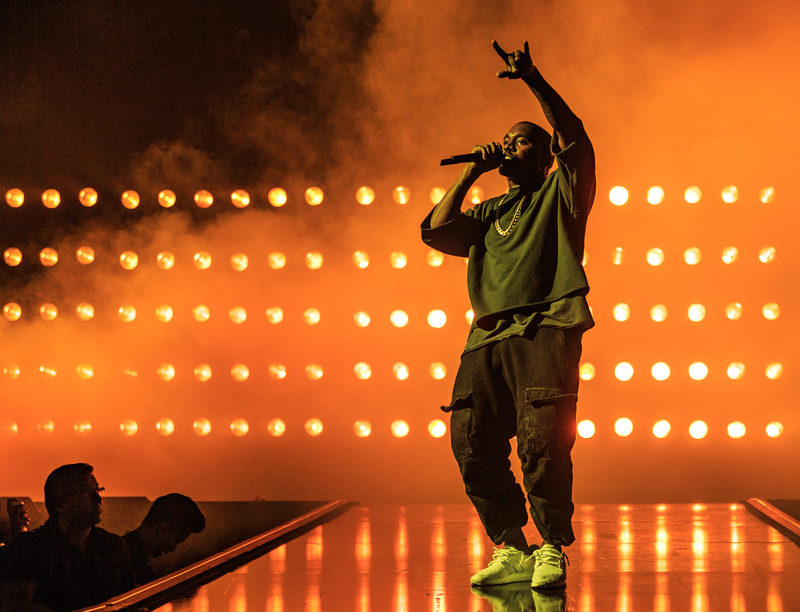 (That's 13 weeks from New Year's Eve, when Kanye released the first track, "Facts".) And that's if Kanye releases every single song individually before dropping the whole album. So how do we know what Kanye is even up to, you might be asking? Well, weirdly enough, it's been up to his wife Kim Kardashian to promote the tracks. On Jan. 8, Kardashian posted a tweet giving us a heads up about Kanye's Friday plans for the foreseeable future, and making it crystal clear through her use of hashtags that the next track is called "Real Friends," and is definitely from the new album. "Real Friends" doesn't seem to be out yet, but Kardashian is getting that ol' hype machine rolling, and I'm pretty intrigued if not out-and-out excited yet. Don't get me wrong, this is great news, I was just prepared to wait a whole lot longer after we were supposed to have the album in 2015 and then that never happened. Artists like Frank Ocean, Rihanna, and Adele have gotten me used to those long waits, so I thought this was gonna be more of the same. But that clearly isn't the case, so it's time for all of us to get our heads in the game; Swish is starting to come down the pipeline, and we have to decide how we feel about these new tracks.